So Tuesdays are the best day for inspiration, right? 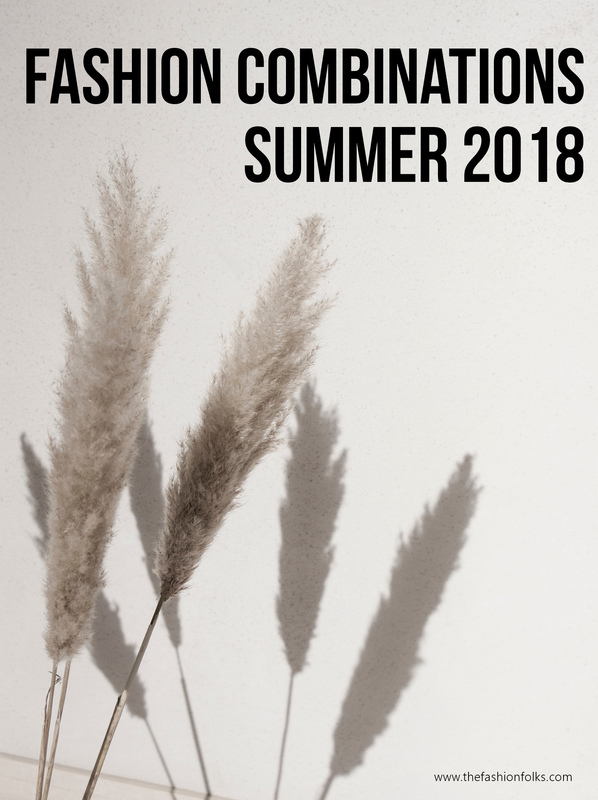 I thought I’d share some random ideas of fashion combinations summer 2018 today. Just simple (and stylish) outfits you can easily recreate in one way or another! The navy style is a popular one to work for summer. One way you can make the look more contemporary is to add the leo print. As the print is closely associated with a more casual style, the two of them makes up for a great match. If you’re unsure about wearing the leopard print, this is probably the most neutral combination you can go for, which also makes the duo a perfect start if you’re unsure. Go for a navy blue clothing piece and add your leo shoes/bag/accessories! I’m dropping a color combination here and it’s no less than a bold, yet stylish one. A bright and sunny yellow is a lovely match with blush pink. It’s a sweet one for summer, quite neutral with the blush pink and the combo works well if you want to match more colors. I think these two are great if you want to mix them with a print, and also quite neutral if you want to go for something more subtle. I talked about this combination last week but here’s a reminder. A sweet floral dress is a fun match with a pair of good ol’ sneakers. The contrast of new and old is a favorable one, and also between soft and edgy. So next time you want to dress down your floral dress, try the sneakers. Or next time you want to make your sneakers look more glam, add the floral dress! A print combination I dare you to try is the one of polka dots and stripes! The stripes are a print everyone sort of love and can wear. The dots are the circular version, which means that the two of them works rather well. They’re basic, they’re neutral and they don’t steal the spotlight. Try to match two similar clothing pieces and leave the styling simple. Perhaps a top in a polka dot pattern paired with some pants? Make it even easier for yourself and choose the prints in the same color! If you want to embody that really old, vintage, vibe of summer I have an idea for you. Next time you work the straw accessories, match them with a clothing piece in linen. The material is quite the dusty one, but fresh and light for summer. Straw accessories are also heavily associated with summer which makes them a nice combination with linen. Go for a clothing piece in linen in a earthy color, perhaps sand or a light beige and you have a simple, yet trendy, look! That first polka dot striped outfit is so much link the one I wore back in April on my Instagram. I love that combination of print! Yellow and blush pink is one that I think is nice for summer, yet I rarely do it. I’d love to do the leopard print and blue, but that print for some reason reminds me of a time when I had seen numerous older Asian women wearing mini leopard skirts that were unflattering so it seems to turn me off. It’s like one of those moments that are so shocking it’s burned into your memory. lol It’s funny how the psyche does that. It’s no other print either… just leopard… maybe I can get over it soon and try it out soon. Would be a nice challenge for me. lol Love your trend recaps! Have a great week Mia. These are great fashion combos for summer! I love the look of feminine dresses with sneakers but don’t think I can pull it off myself! gimme more florals and sneakers! my favorite summer look! Floral dress and sneakers look stunning. I really love this combo! Such great ideas! I love the idea of leopard and navy! You’ve shared some REALLY great pairing ideas here, girl! Some of which I’ve never really considered, until now. Like, linen and straw accessories. I may have done this once or twice, but I never really thought about the mix in textures and how natural they work together. I have a floral maxi that I actually wore for my baby shower and can still get away with wearing now. I’ve worn it a handful of times, if that, but never paired with sneakers. I love the idea of it and will have to give it a try. Thanks for sharing such great inspo; I hope you’re having a great week so far, my friend! I need to do more sneaker + dress combos! And navy blue and leopard sounds killer! Polka dots and stripes are one of my all-time favorite prints combo!